How to start a blog from nothing, you don’t even need to know what you are doing. 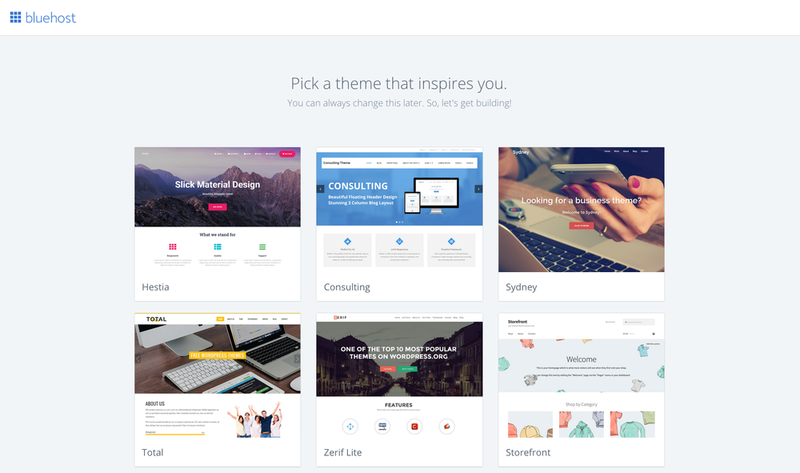 How to choose & Install a theme. How to install plug-ins for free, & i’ll tell you the only ones you need. This post contains affiliate links for Bluehost. In July 2015 my husband & I got married. He worked from home and when we got married I thought would mean that we could just travel all the time. So I began using Pinterest to try and find a way to make money from home so we could travel, and maybe also pay down our debt. I came across people saying “Take Surveys” or “Transcribe Audio” or “Freelance Write” so I tried it all…. I kid you not when I say after working for a month on all the above things I had made like $9. I mean great thats $9 extra dollars but that would buy me like two Starbucks coffees, not allow me to live out my blogger dreams of working from home. But while I was looking for ways to make money on Pinterest I started to come across pins like '“How I Made $20,000" Last Month Blogging” and after seeing them for months in May 2016 I decided to bite the bullet and invest the $70. I thought the day after I started my blog I would make $300, and to my surprise I couldn’t even figure out how to install a theme, get people to my website or install plug-ins. I got so frustrated that those bloggers who were like “I make $20k per month blogging, you should try it” didn’t actually help you at all. So I promised myself that If I ever actually figured out how to have a profitable blog I would help other people like myself who wanted to find a way to make money from home. After weeks of research! (I mean like 10 hours a day) I finally figured out how to make money blogging. Just under 6 months after implementing that strategy I was able to quit my job and blog full-time. And because I promised myself that if I figured out how to blog, and make money blogging I would teach other people how they could actually make money blogging too, here is how you can start a profitable blog in under 20 minutes, get 60% off the normal price, and get a free .com! You can do this! and if you need any help along the way click my contact button above. 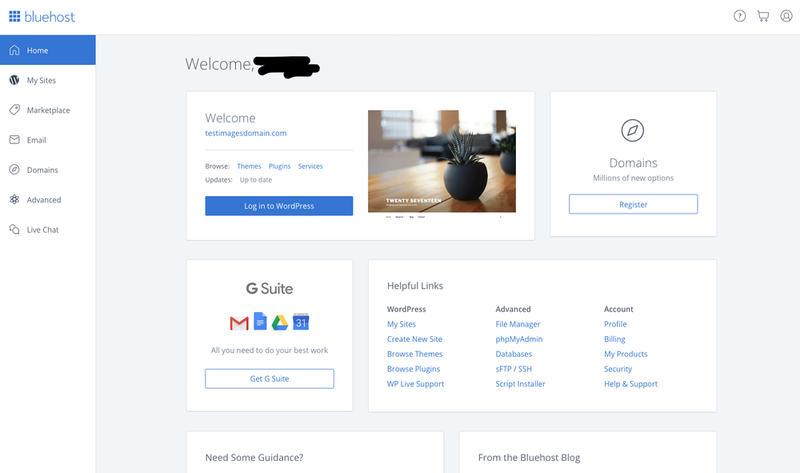 In this post, I am going to teach you guys how to start your own blog using WordPress and self-hosting through Bluehost. Don’t worry you don’t need any blogging knowledge I am going to walk you through everything step-by-step. The reason this is how I am going to teach you how to start a blog is for a few reasons. It gives you a 60% off the normal cost of starting a blog any other way. It allows you to get your own .com for free without having to know how to code, or a bunch of techie stuff. It allows you to have a platform you can just jump into right away, it won't be months before you can start posting, and earning money. >> In this post the links throughout allow you to get hosting at a discounted rate (60% off), and a free domain name! I reached out to Bluehost and asked them if they could do a better deal for my audience. They politely agreed and said that they would. I reached out to them because this is how I started my blog and the way I believe is the best way to start it because it is affordable, and so user friendly. If you want to be sure to use the link that will get you 60% off your blog and a free .com you can click here then follow along below and if you wan’t to come back to this page later don’t forget to bookmark it! You will need an idea. If you don’t have an idea about what you want to blog about hit the contact button in the menu and we can talk about it I would love to help you. You will need this page saved, you could probably complete this whole process in one sitting, but this is only part of a four-part series and each part is helpful. I recommend saving this series on your bookmarks, or on Pinterest (click here to save to Pinterest) because you may get confused in the future and need to come back. A computer you could probably do this from a phone or tablet but it would be very hard and very time-consuming. Money for hosting depending on your plan, or how long you to purchase your blog for your looking at about $59-106 for 1 to 3 years of hosting, and a .com domain name. A goal: the goal to make blogging your part or full-time job. >> JUST A HEADS UP: Today is the last day to get 30 Days to Blog Success my course that teaches how to start a blog, and my exact formula I use to make $10,000 per month blogging and because my birthday is coming up I decided to offer 50% off. A few times in this post I mention it because, I am super passionate about it and I want to help people not be confused like I was when I started my blog. This blog post gives some great guidance but not as much as I give in the video tutorials in my course. If you want to start the course before the 50% off expires and enrollment closes the code for 50% off is: StartBlog50 and it makes the course only $25 you can click here to learn more. Don’t worry about losing this blog post if you’re Interested in 30 Days to Blog Success, in the first video of the course I tell you how to Start a Blog! So feel free to click the link above. When I taylorstanford.com I was hesitant to invest the $71.40 it took me then to create this blog, because that Is a lot of money (especially for a poor newlywed like I was) and I had no idea If I would ever get it back. My blog hasn't failed it has become a full-time job. I MADE YOU SOMETHING: I created a FREE ( did I mention it’s free?) 6 Day email course which will teach you step-by-step how to set up a blog, install your theme, make a logo, and create monetized content. It will completely kick-start your blogging success. It is much like this blog post, but it gets sent straight to your email so you won’t lose it and you can come back to it anytime. Time to decide what you want your blog to be called so you can pick out your .com! What should you call your blog? It is totally up to you and what you plan to talk about but I just had a few tips. Side note: I recommend getting a .com not a .net or .co just because it looks more professional and it is easier to remember. Keep it short. This makes getting social media accounts for your blog much easier since they have character limits. Keep it simple. This makes it easier for viewers to remember. Make sure its not the name of something else. You can check this by searching the name you want on google. Keep it professional. You want this to be a business so you don't want a name people won't take seriously like chugdaddy.com the travel blog. Make sure it is available. You can do this by filling in the box below and clicking "check availability"
Since you just decided what you wanted to call your blog lets get it started. As I said before for those of you using this post (or my email course) to create a blog you get a special discount for my audience only from Bluehost! It normally starts at $7.99 a month now for you guys its only $2.95. Bluehost been great every step of the way. Every time I have contacted their customer service they have been so helpful. To sign up for Bluehost click here then follow along! START A BLOG FOR ONLY $2.95 a month? that sounds crazy, I am so thankful that Bluehost wanted to support my goal of helping other people who want to start blogs, because blogging has really been a dream come true for me! You are going to go here to bluehost.com if you didn’t already have it open then you will come to the Bluehost home screen you are going to click "get started now" on the banner. This will take you to a landing page where you will select the type of plan you want. I recommend selecting the smallest plan because you can always upgrade later. That way you can save some money up front and just invest the money you make in the future back into your blog and upgrade it. After you have decided what plan you want to go ahead and click "select" and meet me at the next step. Give you my day-by-day guide to figuring out affiliate marketing and making money blogging in 30 Days with no experience. Teach you where to find the best affiliate programs for new bloggers. click here to learn more about 30 Days to Blog Success. Don’t worry about losing this blog post if you’re Interested in 30 Days to Blog Success, in the first video of the course I tell you how to Start a Blog! So feel free to click here to learn more. Now enter the name you want in the "new domain" box. Then click the "next" button. On the next screen, you will type in your information like email and name. This account is where you will sign in to manage all your blog settings such as email, and advertising. So choose an email you have accesses to and plan to use for a while when you start your blog. Then scroll down and move on to step 5. After you have finished creating your account scroll down and select your package information. First of all, I recommend deselecting all of the add-on features because there are great WordPress plugins that do the same things for free (we talk about that in part 4 of this series link at the end of the post). After deselecting all the add-on features I recommend just getting the 12 months and upgrading within the year to save money that is what I did. Now it is time to select your payment. Then you are on your way! Once you pay you will be taken to choose your password and install WordPress with just one click! Woohoo! we almost have a blog. How exciting? Super exciting. You are going to be living your dreams in no time flat after this. This is a pretty simple step so I am going to just drop the pictures of the steps below but make sure to write down your password, or save it somewhere. Now go ahead and log into your blog! STEP EIGHT: PICK A THEME! Go ahead and pick the theme that you think looks the best (I will teach you how to work with it, and change it in part two of the series so if it's not perfect that's okay) once you have a theme picked out you can continue to the next step of starting your blog. Can you believe that you are already almost done? it's crazy how simple it is to build a blog. yet some people think that they will never be able to do it because they don't know how to code. Then go ahead and pick Business or Personal. You can go on to step two now and edit your theme, start writing posts, get your about and sidebar ready. Then when you are ready to make your blog public click Launch in blue above. You will be ready to access your WordPress blog any time by clicking the "My Sites" button along the left side of your screen. How to affiliate market like a six-figure blogger (me, I’m the six-figure blogger I’m talking about here). just an extra side note: here is how to write a blog post quickly! Click Login to WordPress, then on the left hand side menu that runs along the page click > New then click > Post then you can begin writing your first blog post! THE OTHER PARTS OF THE SERIES! You are ready for part two: which you can get by clicking here. We will be talking about how to pick and install a theme! CLICK BELOW TO PIN THIS IMAGE TO YOUR PINTEREST SO YOU CAN SAVE IT FOR LATER! Disclaimer: This post contains my Bluehost affiliate link but all opinions are my own and they are honest.